Winter in Chicago has been fairly mild this year, but I’m still so totally OVER IT. I really hate the cloudy skies. And I really hate how long it takes to get the kids ready to walk out the door. And I really really REALLY hate feeling cold all the time (especially when I step out of a warm shower – brrrr). So with the weight of winter upon me, my daydreams drift to delightful days spent in warm tropical locales. 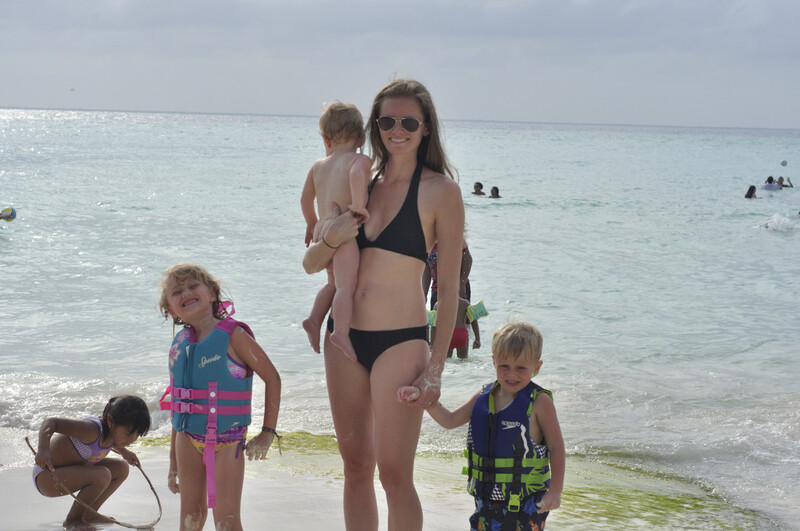 One of our favorite vacation spots is the tiny Isla Mujeres off the coast of Mexico. We haven’t been there since 2013, but the memories remain strong. There, we enjoy lazy days on the beach and amazing food made from scratch. 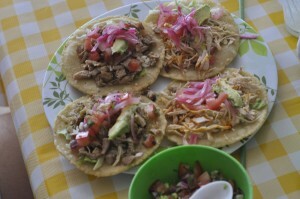 Like these tacos we stumbled upon at the neighborhood mercado. Topped with pickled red onion and fresh pico de gallo – they taste like vacation in a tortilla! Since we can’t go to Isla now, the other day I made an Isla-inspired dinner: a whole roasted chicken that I brined with Mexican flavors, simple black beans, rice and homemade pickled veggies. Not quite a vacation, but the dinner was great! Bring a small saucepan of water to a boil. Drop in onions and cook for 1 minute. Remove from heat and drain. Return onions to the pan and add vinegar, salt and enough water to just barely cover the onions. Bring to a boil and simmer for one minute. 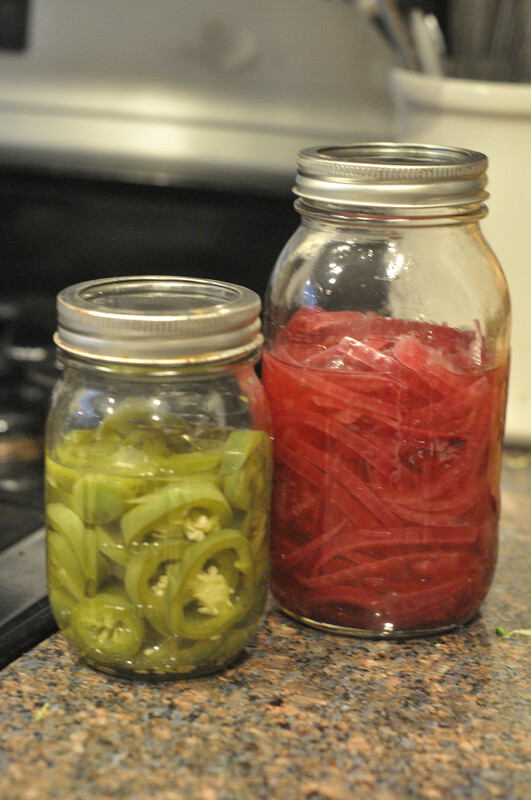 Pour everything into a glass jar and store in the refrigerator. Will keep for several weeks. Bring a small saucepan of water to a boil. Drop in jalapeño slices and cook for 1 minute. Remove from heat and drain. Return jalapeños to the pan and add vinegar, salt and enough water to just barely cover the jalapeños. Bring to a boil and simmer for one minute. Pour everything into a glass jar and store in the refrigerator. Will keep for several weeks.